Helping out at Other Competitions! Almost every weekend since our tournament, at least one of us has gone with our coach and volunteered at other tournaments. We wore our team t-shirts and helped out in the gym, reset the boards after each run, along with other miscellaneous jobs that the referees assigned to us. Each of us did it at least once and I think we all had a lot of fun. We learned a lot and got some ideas from observing other tournaments. A couple of times, we saw some teams we knew; we spent our time as cheerleaders when they were doing their runs. At one tournament, Sabriyah and I volunteered to go. 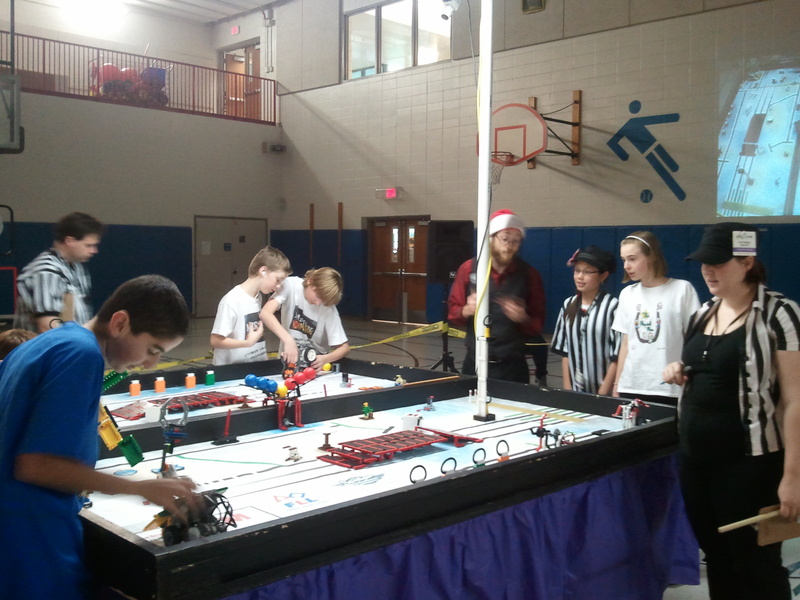 It seemed more like a Lego League tournament; it was all dark except for the two tables and there was loud blaring music. 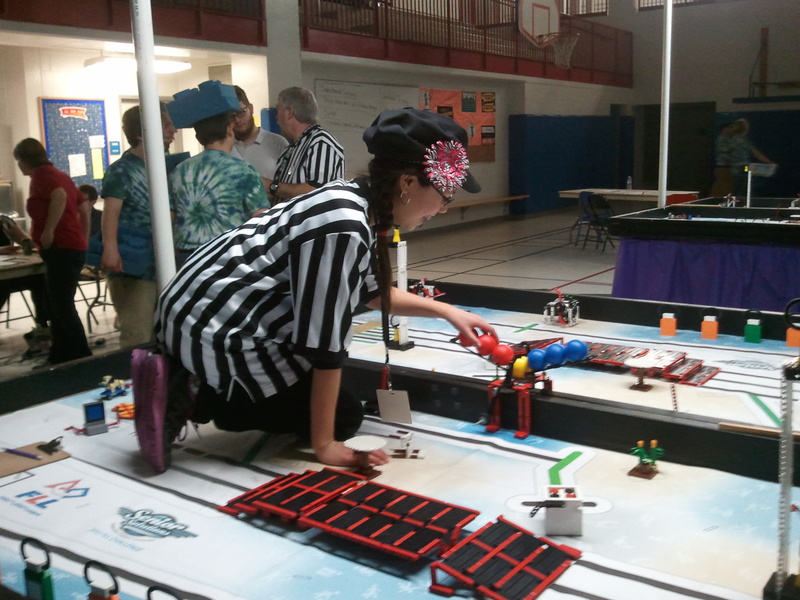 An exciting atmosphere always makes Lego League more fun. Later, Meghan surprised us by showing up- then we realized that her brother was on one of the teams we knew. We had fun for the couple hours that she was there to help with us. It was interesting being on the other side of the tournament. We were able to go into the Official’s Room and eat lunch with the referees and the judges, and it was always fun when we got to participate in discussions about certain teams. I also loved getting to know the judges and refs better. Next time I see them at our state tournament, I won’t think of them as much as refs, but as people I know and like. I think being an assistant ref is as fun as competing at the tournament (although it isn’t nearly as intense or exciting)!